Announcement I CANNOT MAKE INVITATIONS FROM CARTOONS, MOVIE CHARACTERS SUCH AS DISNEY CHARACTERS, MARVEL SUPERHEROES, TROLLS, MINIONS, etc. The characters are copyrighted and cannot be used without permission. Canadians save 15% with coupon code CDNCOUPON. Use of this coupon code by any other country's resident will result in their order being canceled. Want to get a sneak peek at new designs/listings/sales and contests? Subscribe to our mailing list here: http://eepurl.com/cErzhr We won't spam you with newsletters and you can opt out at any time. I'd love to have my stuff shipped to every province and state by the end of 2019. If you purchase from my shop and it is headed to a province or state that I have not shipped to before you will receive a 10% discount off your order. Message me before you place your order for your special discount code. British Columbia, Manitoba, Newfoundland, New Brunswick, P.E.I., Nova Scotia, Yukon, Northwest Territories, Nunavut, Idaho, Montana, Wyoming, New Mexico, Wyoming, S. Dakota, Alaska, Hawaii and Maine. Once the sale in each state has been placed I will remove the province/state from the list. I CANNOT MAKE INVITATIONS FROM CARTOONS, MOVIE CHARACTERS SUCH AS DISNEY CHARACTERS, MARVEL SUPERHEROES, TROLLS, MINIONS, etc. The characters are copyrighted and cannot be used without permission. We Love, Love, Love our invitations! Thanks for being so helpful through the ordering process. Super cute invites and easy/flexible to work with for custom orders! Thank you! I’m so excited to have found a new supplier of this shade of pink cardstock that was previously discontinued. Stay tuned for lots of new designs using this cardstock. ***New*** All listings now have this example for size referencing to show how big our invitations are. All of our invitations are the same size so this example is a great reference for any one of our themed invitations. Size is listed in each listing. This little shop started when I was planning and DIYing a lot of my wedding decorations. After guests at our wedding kept complimenting me and telling me I should sell what I made. 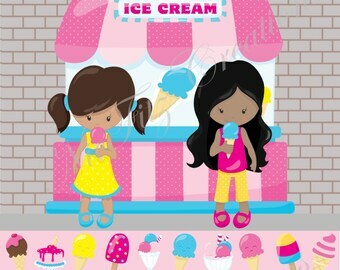 I started NicFitz Creations shortly thereafter, crafting paper goods and vinyl decals. 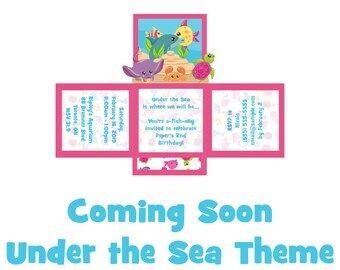 I have moved away from the wedding decor and vinyl and onto my unique boxcard invitations when I couldn't find a unique invitation that I liked for my daughter's 1st birthday. Once friends and family saw them they were a huge hit and I decided to go into making and selling these cute and unique invites. The boxcard style invitations are handmade and very labour intensive. To make 10 invitations takes anywhere from 1.5-2 hours. This doesn't include any design changes. Early in 2017 I felt the name NicFitz Creations didn't suit my business anymore and so Out of the Box Invitations was created and implemented March 1, 2017. On a personal note, I am a Wife and a Mom to two children (11 and 5), I have a full time job outside of Out of the Box Invitations and am also going to school to upgrade for my 9-5 job. Welcome to Out of the Box Invitations. We specialize in unique pop up boxcard invitations. 1) I do not accept cancellations or returns. In many cases, I start working on your order right away and due to the custom nature of invitations with their personalization I cannot accept returns. 2) There is a minimum order of 5 invitations unless you have specifically purchased the sample listing. All orders for less than 5 invitations will be canceled and refunded. 3) A proof of your information flaps will be sent to you within 12 hours of receiving your party details for you to review and approve. Production time on your order does not start until I have your proof approval. All changes and approvals must be finalized within 48 hours of receiving your proof (to ensure timely production and shipping of your order). If I do not receive the party information or approval I reserve the right to cancel and refund your order. If you ordered 5-25 invitations your order will be ready for shipping 5 business days AFTER YOUR PROOF IS APPROVED. If you ordered 30-50 invitations your order will be ready for shipping 10 business days AFTER YOUR PROOF IS APPROVED. Your scheduled ship date will be updated (if applicable) after I receive your approval. 4) I cannot guarantee your order will arrive on a certain date as I have no control over the postal/courier service once your package is brought to them. Therefore I cannot refund shipping due to delays caused by customs, weather, transportation issues, etc. as the postal service/courier will not offer a refund either. 5) I will not create invitations using copyrighted images. 6) In the event of a missing product when cited delivered by the courier: Unfortunately, mail carriers/couriers will not honor insurance if your package is claimed missing but marked delivered by the carrier. It is very important that you track your package and know when to expect delivery to avoid possible theft activity or delivery to the wrong address. You will always receive a tracking number from Out of the Box Invitations the day your item ships. If you file a claim with Etsy, they will close your case. Out of the Box Invitations will not be liable for missing packages marked delivered by the carrier. However, you may take a claim up with your local police and home or renter's insurance. 7) The coupon code(s) listed in my shop accountment are not retro-active and cannot be applied to previous orders and will not be refunded should the buyer place an order without the coupon. 8) By purchasing from my shop you are consenting to sign up for Out Of The Box newsletter. You may opt out anytime by clicking the unsubscribe button. 9) Colors may be slightly different from what is seen on your monitor. I am NOT responsible for issues of colors not matching what you see on your monitor/screen. I am also NOT responsible for wording errors on invitation. No refunds on orders (due to costs associated with production) unless there is an error on my part. Shipping costs are non-refundable. Purchases must be paid in full before your I begin working on an order. This includes changes to existing designs and creations of new designs. Canadian orders are shipped through Canada Post Expedited shipping unless it is a digital item. USA orders are shipped from Canada using Chit Chats Express and then shipped via USPS once it gets to NY. Fedex Ground shipping is also available to Canadian and American customers only as an upgrade. Items are packaged in the safest and best way possible. Any damage or slow transit times are the sole responsibility of the delivery personnel. Out of the Box Invitations assumes no responsibility for lost, delayed, stolen or damaged packages. In the event of a missing product when cited delivered by the courier: Unfortunately, mail carriers/couriers will not honor insurance if your package is claimed missing but marked delivered by the carrier. It is very important that you track your package and know when to expect delivery to avoid possible theft activity or delivery to the wrong address. You will always receive a tracking number from Out of the Box Invitations the day your item ships. If you file a claim with Etsy, they will close your case. Out of the Box Invitations will not be liable for missing packages marked delivered by the carrier. However, you may take a claim up with your local police and home or renter's insurance. Buyer assumes all responsibility for any customs and/duty fees related to the purchase and delivery of their items charged by the customers' countries. Out of the Box Invitations has access to limited personal data for core business purposes. When you place an order with me, I will receive your name, delivery address and email address from Etsy. I will only use these details to process and deliver your order or deal with any queries you have related to that order. If you send me a message using the contact button on Etsy, I will receive your username and email address. I will only retain your details for as long as Necessary in order to process the transaction and I will securely store any data collected during that period. I retain personal data related to orders or customer queries for seven years. After this time I will deleted your data from my records. How do these cards open? No, they are in the shape of a box once opened. They are free standing but do not have a solid bottom. Do I have to assemble anything and how do I mail these invitations? The invitation come pre-assembled folded flat into its provided envelope. You just address the front of the envelope, put a stamp on it and pop it in the mail. I need my invitations sooner than your current turnaround time. Can I get them rushed? Rush orders may be available depending on quantity needed and timeline. I need a minimum of 2 business days after your proof approval for rush orders (for small quantities). All invitations are hand made. Please contact me prior to ordering if you need a rush order. A rush fee of $1.00 per invitation will apply. Do you do custom orders/requests? Yes! A lot of customers have requested unique one of a kind invitations or tweaking to existing designs. Please message me with your ideas. A design fee may apply. Can you change the color of hair/shirt/character/background/etc? Yes I can. There is a $5.00 fee for change request and must be paid prior to production of your order. When purchased (upgrade) I can ship via FedEx Ground for quicker ship times. The ship times vary by location. Here is an approximate timeline based on state. I do not guarantee this but this may help determine how long your shipping can take. The day I ship is not counted in these days. Do I get to see a proof before production? Absolutely! I always send a proof of the information flaps to approve (within 24 hours of receiving your information) to ensure all information is correct. All changes and approvals must be finalized within 24 hours of receiving your proof (to ensure timely production of your order). If I do not receive the approval I reserve the right to cancel and refund your order. If I have messaged you about your order (missing information, confirmation of changes, etc) and I do not receive a response within 48 hours of sending the message I reserve the right to cancel and refund your order. If you have a custom design created I send a DIGITAL MOCKUP of how the invitation will look including all design elements will be sent within 2 business days. Can you make an invitation with Disney, Marvel, Tv show, Movie Characters? Unfortunately no. I do not use copyrighted characters without permission from the copyright holder. I do not have licenses to use Disney, Marvel, Tv show or Movie characters, etc. and cannot make invitations with them. Unfortunately, shipping from Canada is expensive. I have no control over this. I will only ship packages with tracking for your protection as well as my shops. I do flat rate shipping for all orders at the lowest possible cost.